The University of Maryland's research and educational strengths span the broad array of fields essential for understanding and implementing sustainability – from environmental sciences, remote sensing, land use and land use change, and natural resources management, to modeling, policy, economics, information, and social sciences. The Global Sustainability Initiative is excited to present its first Lunch Training Series focusing on Social Media Engagement and Amplification featuring Sara Langhinrichs, a former top White House aide and founder and owner of Sara Lang Strategies. For more information and to register click here. 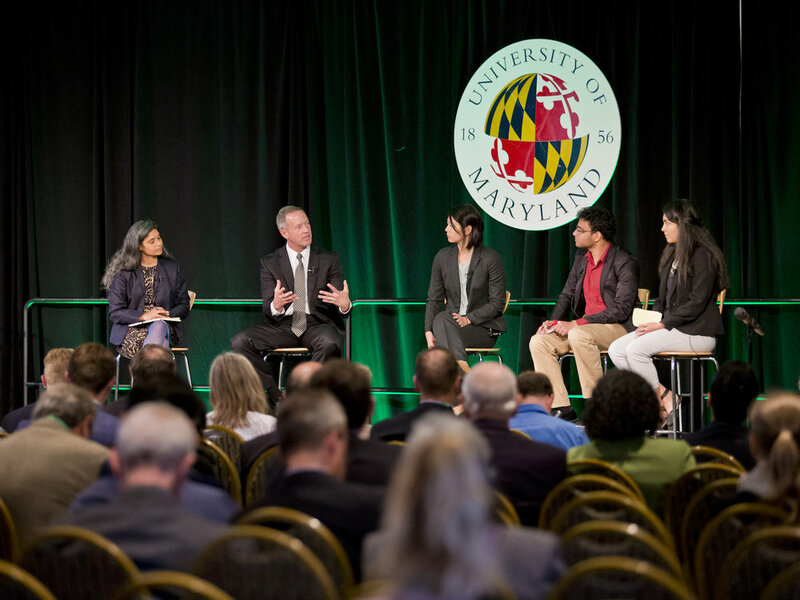 College Park, MD – September 7, 2018: The Global Sustainability Initiative (GSI) at the University of Maryland is hosting a kickoff event ahead of the Global Climate Action Summit (GCAS) and as a part of our role as the research lead for the University Climate Change Coalition (UC3) centered on building collaborative approaches to climate policy in the state of Maryland. Participants include a wide and diverse audience from multiple colleges and departments internal to the University as well as various external organizations. After opening remarks from GSI Director Nate Hultman, we will hear an opening keynote from Mike Tidwell, Executive Director for the Chesapeake Climate Action Network (CCAN). Immediately following Tidwell’s keynote address, there will be a brief Q&A and a panel moderated by Dan Nees, Senior Research Associate with the School of Public Policy. The panel will consist of three additional voices who will draw from expertise in their respective fields of land use, clean energy, or resilience. Panelists will reflect on their interactions with policy making at both a state and local level and discuss lessons learned when driving climate action. Panelists include Mark Conway of the Baltimore Tree Trust, Distinguished University Professor Ellen Williams of the Department of Physics here at the University, and Senior Researcher Lewis Ziska of the US Department of Agriculture. Following the panel will be a closed door discussion where participants will further explore how various stakeholders can come together to share knowledge and experience to ultimately create climate action. A synthesis report will be released following the event. You can view the public portion of the event from 9:00 am - 10:30 am live and after the event on the GSI Facebook page. A flagship tier 1 research institution in the National Capital Region, the University of Maryland is at the forefront of state, national, and global sustainability research across multiple disciplines. The University of Maryland's teams of leaders and researchers collaborate across units and leverage our collective strengths toward ambitious goals. The Global Sustainability Initiative is jointly funded by 11 campus units at the University of Maryland. The University of Maryland’s location affords connections to Washington, DC networks of federal agencies, multilateral development banks, and global think tanks, and our state university charter gives us an important stake in state and local actions. Pioneering new modes of collaborative learning across disciplines, the University of Maryland creates a thriving workforce, a thriving public sphere of lifelong learners, and a thriving planet.